Palencia - in the northwest of the Tierra de Campos of central Spain, the capital of the province of Palencia in the autonomous community of Castilla y Leon. The Roman bridge across the Carrion was replaced by the medieval one of three arches: the old section of the city is on the left bank, the modern suburban development on the right bank. The old city walls more than 10 meters high can still be traced; the alamedas or promenades along them were laid out in 1778. The flamboyant Gothic Cathedral built from 1321 to 1504, dedicated to San Antolín, stands over a low vaulted Visigothic crypt and its museum contains a number of important works of art, including a retablo of twelve panels by Juan de Flandes, court painter to Queen Isabella of Castile. The Archeological Museum contains Celtiberian ceramics. Palencia is also famous for the 13th-century church of San Miguel and the Benedictine monastery of San Zoilo, housed in an 18th-century rococo structure by Juan de Badajoz. This modern hotel is located in one of the best areas in the city right in the commercial heart, only 1 minute from the bus station and 5 minutes from the city centre. The nearest airport is 55 kilometres away. The 65 rooms are divided 56 double, 7 single and 2 junior suites. All of the are fully equipped with satellite TV, direct phone, mini-bar, air conditioning and heating, complete bathroom with amenities as well as hair dryer and internet connection. The decoration and furniture is modern and functional. Every details is looked after to create a comfortable atmosphere for a pleasant stay. The restaurant is a medium sized welcoming room where Castillian specialities are served as well and wholemeal dishes a la carte. Also good wines of the region can be tasted. 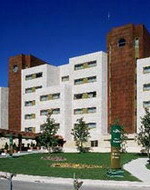 The Eurostars Diana Palace is a contemporary seven-storey hotel with a sleek terracotta-coloured brick and glass façade. The hotel is located in the centre of Palencia, less than 500 metres from the town centre. At the hotel restaurant, Miro Y Velazquez, guests can sample regional dishes from an extensive buffet or order a la carte. The dining room is contemporary in design and features sleek wood tables topped with white linen, grey banquettes, aubergine chairs and walls and low-level lighting. The bar has dark wood drinks cabinets and lipstick-red bar stools. The 65 air conditioned guestrooms are contemporary in design with white walls, large panelled headboards, striped fabrics and light oak furniture. All include dial-up Internet connections, minibars, televisions with satellite channels, safes, hair dryers, and telephones. Hotel Husa Castilla Vieja is a modern city-centre hotel situated in the commercial and historic centre of Palencia, 300 metres from the 15th century Gothic Cathedral. The hotel offers a bar, coffee shop and TV room, with wireless internet available throughout. Car parking is available (surcharge), and there are extensive business facilities within the hotel. A tiled floor, beamed ceiling and whitewashed walls conjure an ambience typical of a Castilian Taverna in Los Blasones at Hotel Husa Castilla Vieja. This 80-seat restaurant offers regional and national dishes, and is open for breakfast, lunch and dinner daily. The 69 air-conditioned guestrooms have neutral modern decor and furnishings with wood style flooring, and all include minibars, direct-dial telephones, televisions and wireless internet. The Parador de Cervera de Pisuerga Hotel is set in a part of Fuentes Carrionas Reserve, determining its most representative features. Nature can be seen in all its splendour in the Picos de Europa and the blue waters of the Ruesga reservoir and the Romanesque art, which here becomes the real protagonist of the landscape, offering the site a unique and incomparable beauty. The hotel has 88 spacious and comfortable bedrooms, with bright balconies, combine with the exquisite shade of walls, beams and ceilings covered with wood. The restaurant offers traditional Castilian cooking based on hand-made sausages, veal steak and trout with bacon. Also it ensures a peaceful and pleasant stay for its guest during the visit. Ponferrada - the capital of the council (comarca) of El Bierzo, in the province of León. It is situated on the river Sil, a tributary of the Miño. 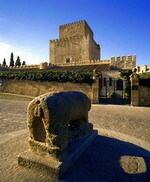 The city is noted for its Templar castle, which covers approximately 16,000 square meters. Ponferrada also has several attractive medieval churches. Many of the municipal buildings and churches are topped with local blue slate. Just 20 Km. away from Ponferrada you can find Morredero peak, which is 2135 m. high, and it has a little ski station. A few kilometers arround from the city, there are many beautiful places and villages (Molinaseca, San Pedro de Montes, Peñalba, Compludo, etc.) suitable for treking routes and rural tourism. The super-modern AC Ponferrada is located in a striking cobalt blue cubic building, 800 meters from the center of Ponferrada and its sights, including the famous Templar Castle and the old town with its tapas bars. As well as a conference center with a full range of business facilities, guests can enjoy a typical regional meal in the chic onsite restaurant, washed down with local wines. Later on, guests can relax in the bar with a drink. There is also a free coffee shop offering complimentary snacks and drinks at fixed times during the day. The hotel lounge is furnished with deep leather armchairs, ambient lighting and books. The 60 rooms offer high standards of comfort, with sleek modern furnishings, wood floors, cable television and seating areas. The Hotel Temple Ponferrada is located in Ponferrada, Spain, in the centre of town opposite Temple Park, 200 metres from the shopping and business centres and from the historic castle and basilica. 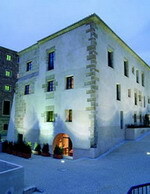 A stone building with a medieval theme, the Hotel Temple Ponferrada complements the nearby historic sites. 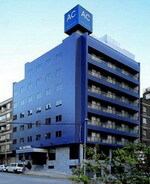 The hotel offers a lounge, reading room, and games room, and there is a pharmacy and car rental desk onsite. Garage parking is complimentary. Restaurant Los Comendadores at Temple Ponferrada serves regional dishes, such as Bierzo's regional meat speciality Botillo, and wild mushrooms with cheese. There is also a coffee shop where a buffet breakfast can be enjoyed, and a bar and small discotheque. The nearest golf course is the nine-hole Bierzo Club de Golf two kilometres away. Salamanca is probably best known for having the oldest university in Spain and one of the oldest in Europe. This university is still what gives ambiance to the town. This charming town is untouched in it's architectural purity. In central areas all recent buildings are constructed in Salamanca's best tradition. The city has been declared "World Heritage Site" by UNESCO. The city lies on a plateau by the Tormes river, which is crossed by a bridge 500 ft long built on 26 arches, fifteen of which are of Roman origin, while the remainder date from the 16th century. This property is located in a very convenient spot just a 3 minutes walk to the Plaza Mayor and the main tourist area of this beautiful city. The hotel offers 69 comfortable and fully equipped rooms decorated in a traditional and classical European style .Every room is furnished with splendid wooden pieces. Facilities include direct telephone, satellite TV, minibar, safe deposit box, air conditioning and heating, piped music and Internet connection. Marbled bathrooms are equipped with hair dryer, telephone and hydro massage bathtub. The restaurant is also a very smart area where traditional specialties and a hearty buffet breakfast is served every morning. 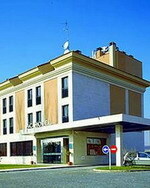 This is a very convenient hotel due to its location and quality of service provided. Other facilities are private car park, room service, laundry service and handicapped access. 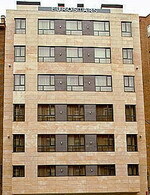 Opened in 2002, the Catalonia Salamanca Plaza is a modern city hotel located in Salamanca's historic city centre, some 100 metres from the central square of Plaza Mayor. The hotel offers three conference rooms of varying sizes all complete with audiovisual equipment, while guests can find relaxation opportunities in the hotel bar. For those not wishing to dine in the hotel restaurant, room service provides in-room refreshment. 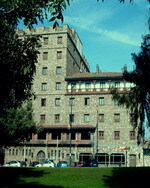 Guests keen to explore the University City of Salamanca (European City of Culture in 2002) can get advice from the multilingual staff and will find that the hotel is located less than a kilometre from the city's main attractions, such as the University, Cathedrals, Casa de las Conchas and the Palacio Fonseca. The Hotel Dona Brigida is located in Salamanca, Spain, next to the Torres River, within the Villa Mayor golf course, and five kilometres from central Salamanca. 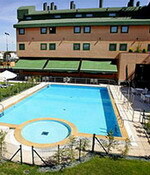 This modern, golf-spa hotel is situated within the resort centre. There is an outdoor pool with separate children's pool, and a health spa with an indoor heated pool, sauna, a massage treatment room, and fitness equipment. 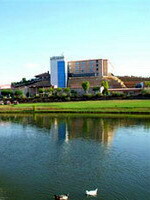 There are three restaurants and three cafes at the Hotel Dona Brigida Resort, serving traditional dishes and tapas. Room service is available. 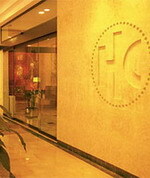 Business facilities offered are conference rooms and a business centre. 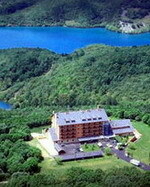 Activities at the hotel include horse riding, and there is a nine-hole and 18-hole golf course on site. Oasis Horus Salamanca was built in 1995 in a contemporary Spanish villa style with tiled roofs and is situated on the edge of the town of Salamanca, 2 kilometres from the city centre. Guests can enjoy a dip in the outdoor swimming pool, which has a separate pool for children, enjoy a game on the a floodlit tennis court, work out in the gym or relax in the sauna. Restaurant Arcadia serves regional specialities and international dishes in a light, conservatory-style room and also offers children's and vegetarian menus. The Horus Bar offers a wide range of drinks as well as sandwiches, salads and pizzas. The 90 guestrooms are located over three floors and have decor in pastel tones with Spanish style reproduction furniture. 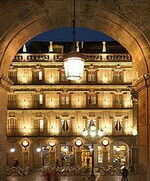 The Hotel Petit Palace Las Torres is a first-class hotel located in the historic center of Salamanca. This magnificent building is a product of the Barrocco-Churrigueresco style, with a view to the Plaza Mayor. The hotel is convenient to this beautiful, cultural jewel of a city. Despite its vintage construction, the hotel has the modern comforts and conveniences that sophisticated travelers expect. This four-story building features a business center with high-speed internet access, a buffet restaurant and a snack bar. 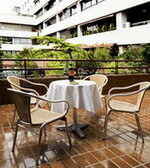 The Hotel Petit Palace Las Torres is just steps to fine dining, shopping and entertainment venues. The guest rooms are air-conditioned and equipped with modern conveniences like an individual safe, internet access, satellite TV with Canal Plus, and the latest generation of hydro showers. The ivy-covered Hotel is perched on a sheer drop over the River Águeda valley and the castle has a keep which serves as an unbeatable observatory to look out over the Campo Charro landscapes. This is the ideal enclave to discover the beauty of the marvellous surrounding nature and appreciate the rich monumental city of Ciudad Rodrigo. After the impeccable garden, the meticulous period details, Castilian furnishings, the splendid patio and bright rooms - some with exceptional views - are highlights. The stone arches in the dining room are greatly admired, as are the typical Charro cuisine with the standout local sausage - farinato - succulent roasts and Iberian hams. The Hotel is on a small hill on the left bank of the Tormes, facing the historic centre of the city. Its large windows make it an exceptional lookout point over the city, a living museum dominated by the cathedral towers. Elegance, comfort and spaciousness characterise the hotel’s public areas, meeting rooms and bedrooms. Tastefully decorated with marble and other luxurious materials, the interior offers unbeatable views from all the lounges, the pool and most of the rooms. Enjoy the local dishes of Salamanca offered in the Parador restaurant: hornazo (meat pie), farinato and other Spanish sausages, cheese from Hinojosa, tostón (sucking pig), Ledesma pastries and almond pastries. Delicious! 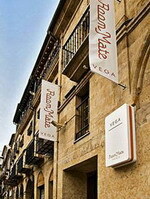 The Room Mate Vega is a modern hotel housed in a listed historical building in the centre of Salamanca, within 500 metres of the cafés of the Plaza Mayor and the cathedrals. Guests can start the day with a buffet breakfast in the hotel's dining room, and later (for a surcharge) use facilities including sauna, hydrotherapy and massage at a nearby spa Centre. For guests' convenience, the 24-hour front desk has a safe deposit box service, and garage parking is on offer for those arriving by car. The 38 air-conditioned guestrooms have décor in soft white with wooden flooring, bright fabrics and window shutters. All have Internet connections, climate control, safes, direct-dial phones, satellite television with premium channels and bathrooms with hair dryers.